Playgrounds are so much fun for kids. How often do they beg to be taken to the park? There are swings, slides, seesaws, and climbing forts. The popularity of playgrounds means that those with natural grass often struggle to stay clean and safe play environments for kids. Which is why, at Turf Green, we’ve developed a range of artificial grass for playgrounds. Just like schoolyards, public playgrounds get a lot of foot traffic, and often the natural grass just can’t cope. This combined with the hot sun and drenching rain we’re accustomed to in Brisbane, means that playground areas can easily turn to big dust bowls or muddy nightmares. Some local councils opt for tanbark or woodchips to cover the dirt ground, but there are great advantages to choosing artificial grass for playgrounds. We all like the idea of our kids being able to play in ‘all-natural’ play environments with nice healthy grass. But the reality is, most of the time natural grass is just not practical ground coverage for playgrounds in Brisbane. Not only is it not practical, if it turns to dust, kids can get very dirty very quickly. If there is no natural grass or artificial surface in place, a child is also more likely to get injured when they fall. And if they fall into dirt and scrape their knees or elbows, the wound can become infected. There are many benefits to using artificial grass for playgrounds. 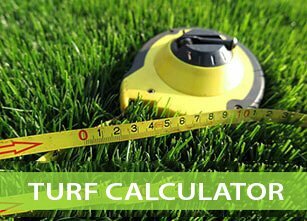 In fact, our Turf Green products are superior to natural grass and other artificial surfaces. a play area free from fertiliser, pesticides and other chemicals. Contact us to get a quote for artificial grass at your playgrounds. Our artificial grasses are completely safe for kids. They’re made with the best materials and to the highest standards. We only make products what we would be happy to let our kids play on. This means that all Turf Green grasses are also non-toxic and don’t contain any nasties like heavy metals. Kids fall over a lot – it’s part of being a kid and growing up. But there are ways to minimise the impact and damage when they do fall. That’s why we use special soft fall technology for all our synthetic grasses. So if a child falls over on our synthetic grass, they’ve less likely to be injured or hurt, compared to if they landed in dirt, tanbark or woodchips. Our grasses are even safer than natural grass. Want to know more about Turf Green artificial grass for playgrounds? 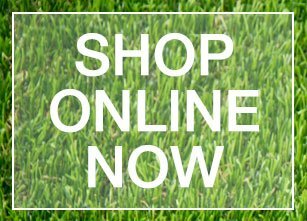 Then check out the artificial grass types page and our FAQ section. Or check out our supply and installation calculator or our DIY store. Here is a picture from a playground project we completed for the Redland City Council at Cleveland Point playground.